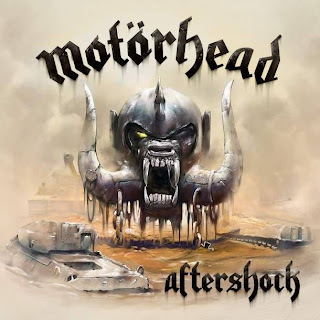 Motorhead has announced that ”Heartbreaker” will be the first single from their forthcoming album, “Aftershock” – a release date for the track has yet to be revealed. Due October 22 in North America, the band’s 21st studio album was recorded at RG Studios in North Hollywood with longtime producer Cameron Webb. “Steal it if you must, buy it if you can!” says Lemmy, who’s pride in the album is so immense that guests to his home and dressing room in the last couple of months have been treated to extremely loud airings of the rough mixes. The release follows a bumpy summer for Motorhead, who canceled a series of shows on their summer European festival tour following doctor’s orders after Lemmy suffered a haematoma (where blood collects outside of a blood vessel) and needed to address the issue; the bassist had previously been fitted with a defibrillator because of heart problems. Motorhead will launch a fall tour in support of the new album starting November 7 in Zurich, Switzerland.